By Tamara Rutherford · Jan. 25, 2016, 7:11 p.m.
Men’s basketball were dealt a tough loss by the Regina Cougars on Saturday night. After trailing close behind Regina for three quarters of the game, the Thunderbirds managed to tie the score before falling 83-79. By Tamara Rutherford · Jan. 11, 2016, 10:38 p.m.
Women’s basketball captured the win in their second game against the Lethbridge Longhorns on Saturday. 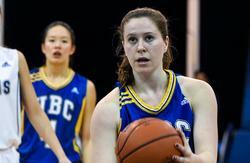 Every UBC player saw court time and the team was leading in points throughout the matchup, finishing with final score of 77-47. By Tamara Rutherford · Nov. 10, 2015, 12:28 a.m. 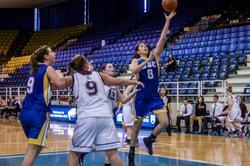 It was a bitter loss for UBC women’s basketball in their home opener against the University of Alberta Pandas this weekend. 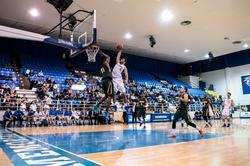 Although the T-Birds dominated the first half the final score was 72-67 for Alberta. 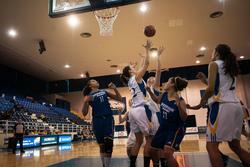 By Tamara Rutherford · Nov. 1, 2015, 7:07 p.m.
UBC women’s basketball team beat the Thompson Rivers University WolfPack on Friday night, 75-72. 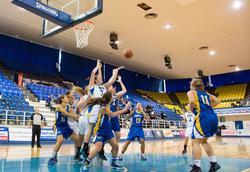 By Tamara Rutherford · Oct. 23, 2015, 10:17 p.m.
Women’s basketball suffered a rough loss against the Ryerson Rams, 76-66, coming back from an almost 20 point deficit due to some solid individual performances. By Tamara Rutherford · Oct. 5, 2015, 1:23 a.m.
UBC women’s basketball started their season off right Friday night, beating the UBC Okanagan Heat at home in the War Memorial Gym. The Heat got the tip but it was the Thunderbirds who scored the first basket, a three-pointer from the baseline by fifth-year Adrienne Parkin.